It�s frequently apparent that JT Kenney doesn�t concern himself with the approval of others. I could see this was going to be an eventful interview, as usual. For some time now, I�ve known the big man to be a blatantly honest guy, more than happy in his own skin. 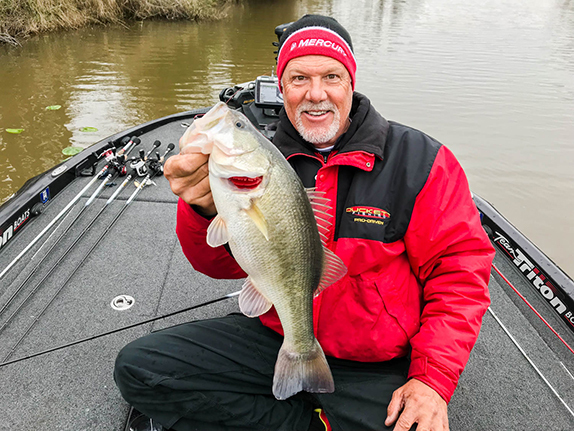 I�ve equally known him to be a vintage tournament pro, anxious to throw down on any body of water in the Eastern U.S., with a dang good chance of coming out ahead. 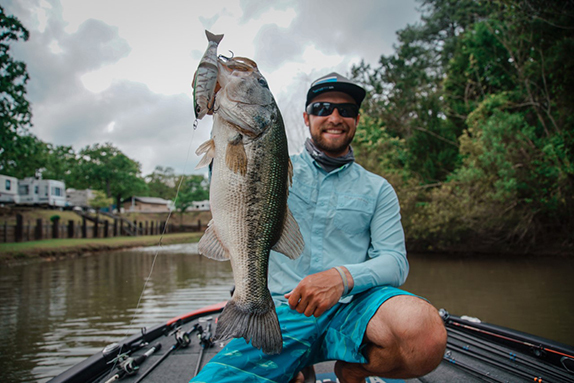 As a fan, I�ve admired Kenney�s tenacity toward the fishing aspect of tournament bass; while his marketing and brand presence is strong, it�s apparent he�s always done his best to earn the bulk of his cash with a rod and reel rather than a Facebook page. So I was stumped � floored, really � to learn of Kenney�s apparent retirement from competitive fishing for a career in fishing broadcasting with MLF�s new BPT circuit. 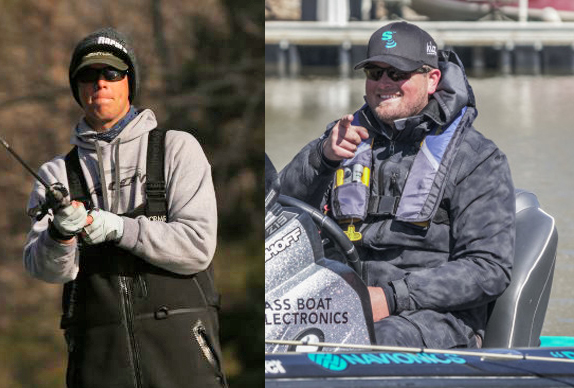 Could this be the biggest sell-out in the history of professional bass fishing? Was punk rock really dead? Let�s hope not, at least to that last part. In any case, I felt compelled to get to the bottom of the Kenney story and find out just how pitifully political things had become for one of my favorite pros. I must admit, his story intrigued me. To back up, it�s important to look at the Kenney record: five major tournament wins, including three at the Tour level, with over a million and half dollars in earnings on the FLW Tour, and another six figures with B.A.S.S. A pro for over 20 years, Kenney�s never really had a �day job� and likely had a spot reserved on nearly any circuit in the country this season. His first offer came from MLF in the form of a competitor. So there, in the early stages of picking a roster for the upcoming circuit, Kenney was on board, all-in, as a competitor. But a funny thing happened. However, in time, Kenney started to warm up to the idea. His reason surprised even me. I wondered how that could be. Who ever dreams of being a tournament fishing announcer? Kenney admitted that timing wasn�t the best, but he felt he should think about it more. He told MLF that his answer was still no, but he would listen. Now hold on a minute; a tough question immediately entered my mind. How could Kenney � one of this generation�s original high rollers � justify endorsement dollars without continuing to compete in the trenches? Are we now in an era when weigh-masters and colorful TV hosts are dealt the same street cred as proven tournament champions? Say it ain�t so. Certainly there�s more flip-stick boosted big bags to be weighed by JT Kenney. Yuck. Maybe punk rock is dead. Maybe YouTube has replaced Megabucks and the only thing important anymore is fans and followers. Or maybe JT�s pocketful of honesty paints a clearer picture.